In search of something glamorous? Organdie hand-rolled flowers can create impact and elegance. Flowers can be made into a variety of shapes and sizes. 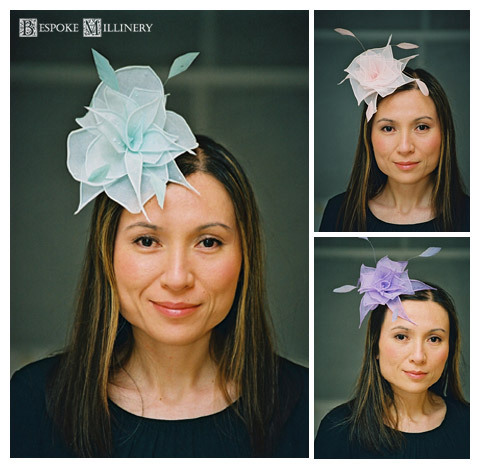 The Fleur fascinators are examples of some of the available colours and different use of beading. These will look great at a wedding or even worn as a simple everyday accessory.